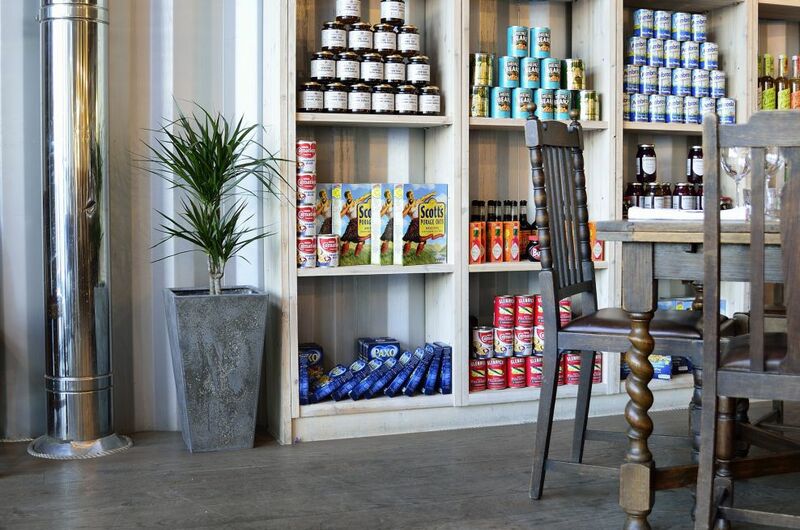 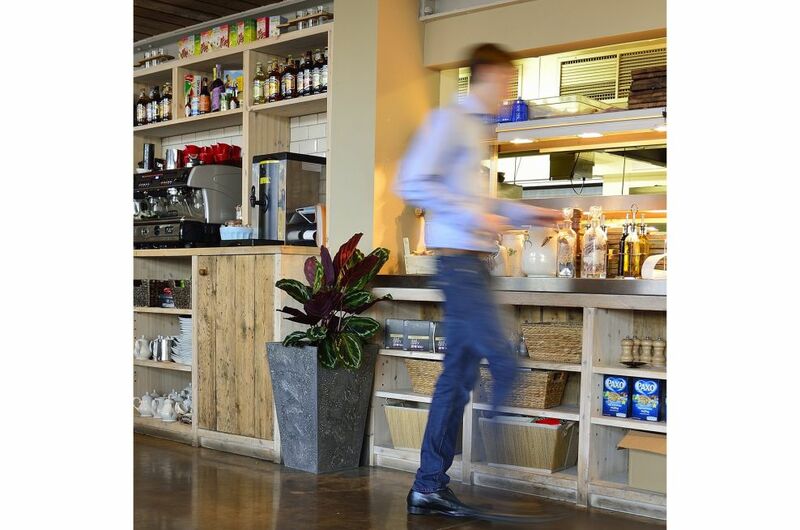 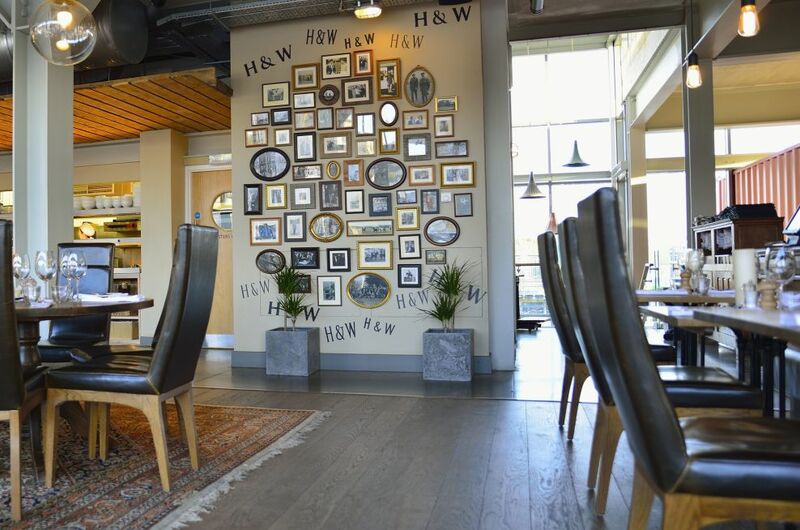 Hall & Woodhouse is a spectacular bar and restaurant, located on the marina dockside in Portishead, near Bristol. 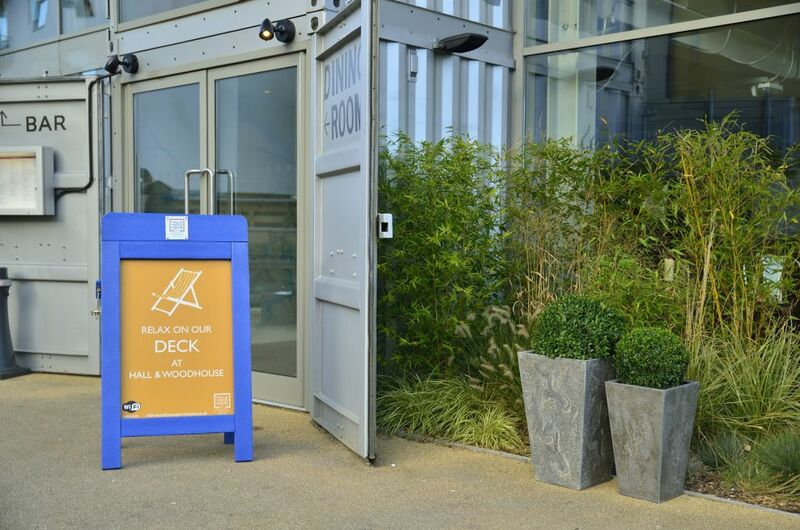 The innovative venue is constructed out of recycled shipping containers, that echo back to the nautical heritage of the area. 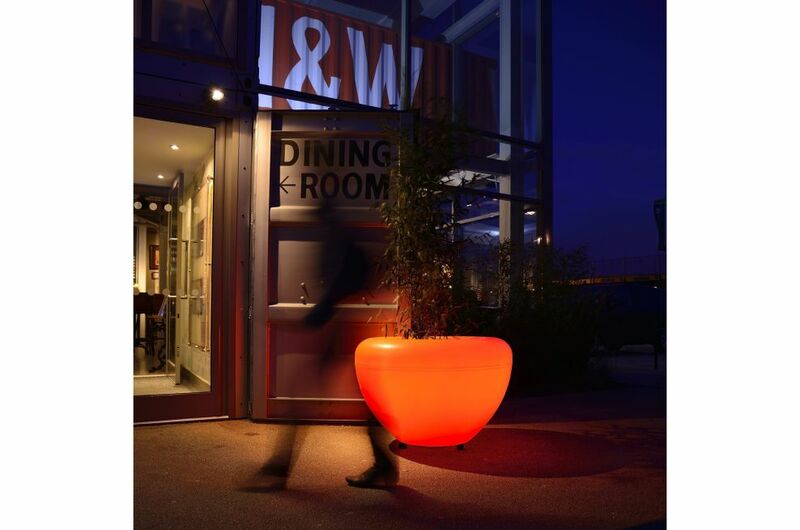 Orange SCOOP illuminated planters light the entrance and decked terrace at night, as well as generating a warm and welcoming sense of arrival. 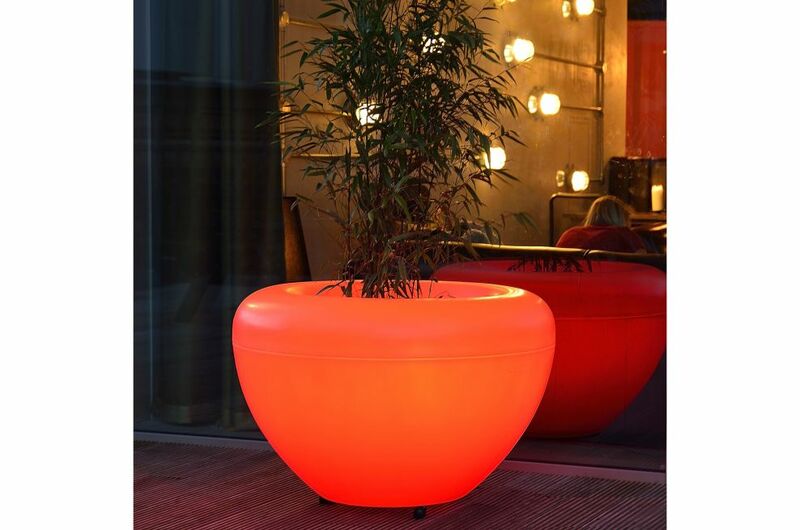 Flagstone planters are located at key points, both outside and inside. 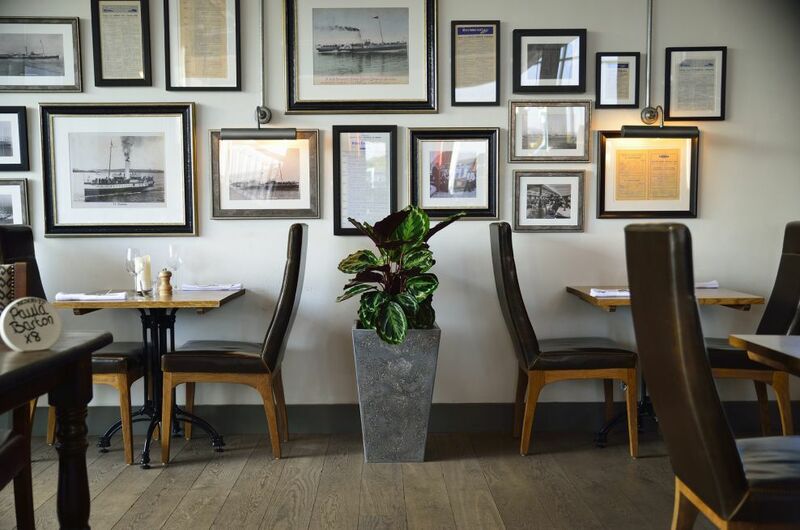 Flagstone planters recreate the texture and appearance of well-worn and weathered old stone; and this aesthetic works well with the aged oak floorboards, and oak and leather furniture in the restaurant. 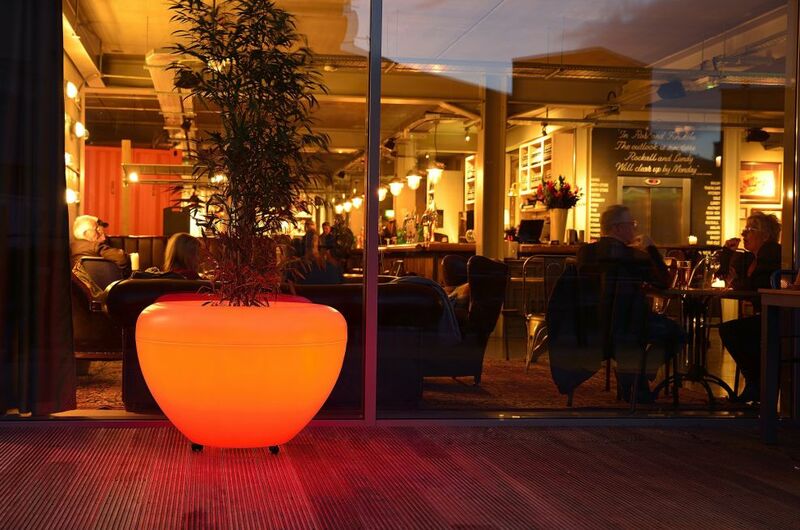 Lightweight, but exceptionally durable, Flagstone planters are made from resin-based composite; whilst SCOOP planters are robustly constructed in Denmark to exacting quality standards from rotomoulded polyethylene [PE]. 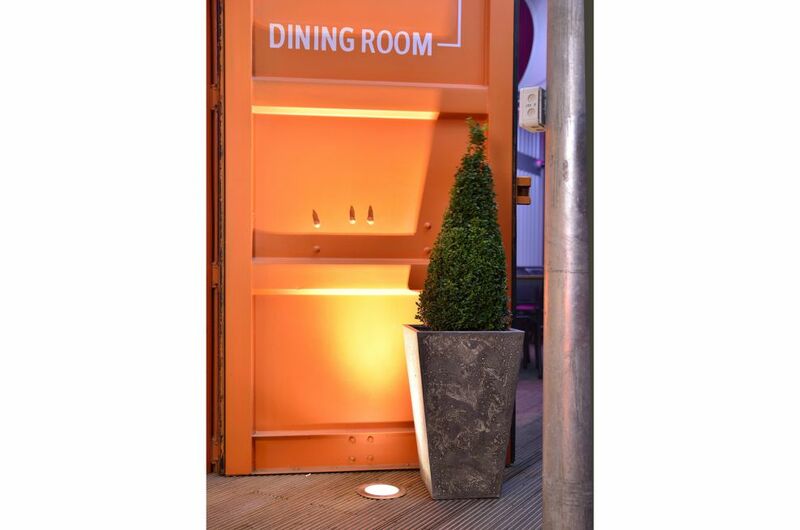 Both ranges are suitable for all environments.